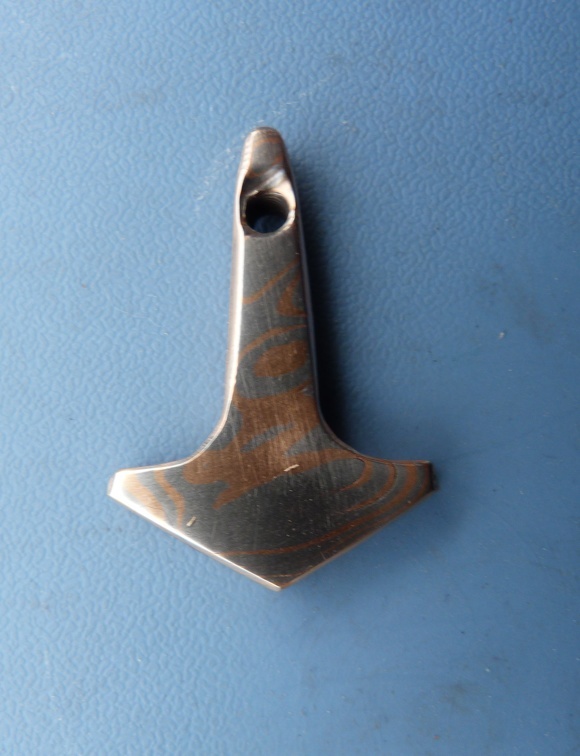 Executed in mokume gane of laminated copper and silver. 1.6" tall. Some irregularities on rear. Made by Mike. Rubber training knife, shaped like the classic sub hilt fighter. $10, including domestic shipping. 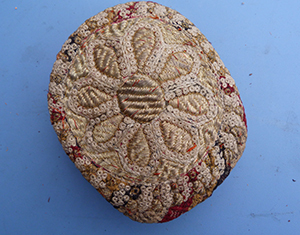 Middle Eastern kufi men's cap. Approx 6.5" diameter. Vintage. Inside brim has display tag, likely from a museum. The box it came in, with other items, has a newspaper clipping from 1950, which may help date it. Textile is still supple, the embr ... [more].